Sovereign King, the rain is pouring down on me heavily, the ocean rises up against me as the thunder roars. The winds are pushing me too and fro. I feel so weary and weak. Lord, give me strength. In the midst of this storm, this crisis, Oh Lord, I still have hope. Though a host should encamp against me, my heart shall not fear. Though a war rise up against me, in this will I be confident. 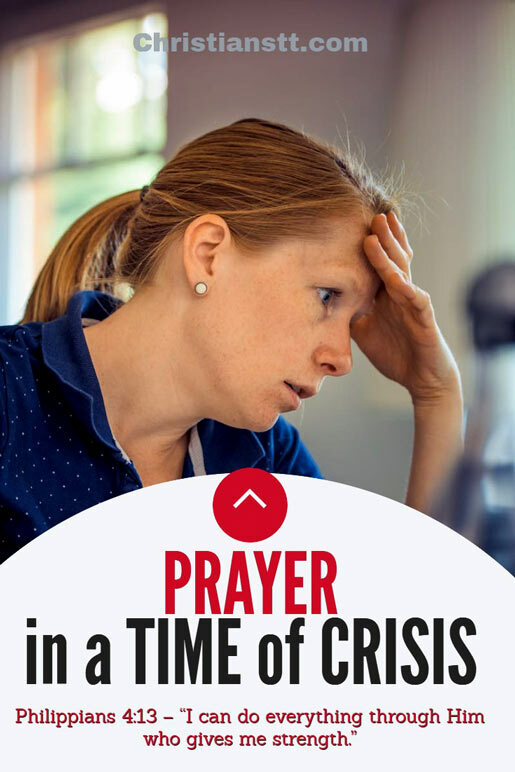 Philippians 4: 6-7 – Do not be anxious about anything, but, in everything by prayer and petition with thanksgiving, present your requests to God. And the peace of God that transcends all understanding will guard your hearts and minds in Christ Jesus. Father, I know You are going to bring me through this, for You never fail and You won’t start now. I put my eternal faith and trust in You as You uplift me. As I emerge out of the storm strengthened, renewed and confident, I will bless Your Holy name. I praise You, Lord, in the midst of this chaos. I chose to dance in this rain, for what I thought was made to break me actually made me brand new. You make all things work together for my good each and every time. James 1:2-3 – Consider it pure joy, my brothers, whenever you face trials of many kinds, because you know that the testing of your faith develops perseverance. As I arise out of this storm victoriously, I shout out “You are Glorious for that is what You are. You powerful for that is how great You are. You are King of Kings and Lord of Lords for that is who You are”. And I rebuke this crisis I am currently facing. I declare that I have been set free in Jesus’ mighty name, Amen and Amen! 1 Thessalonians 5:17-18 – pray continually; give thanks in all circumstances, for this is God’s will for you in Christ Jesus.